BRUSSELS (AP) – Canada walked out of talks Friday meant to save a massive trade deal with the European Union, unable to break a deadlock with a small Belgian region that has been defying multinational efforts to have the pact signed next week. Despite the stunning setback, European officials refused to accept that the pact, which had been agreed on provisionally two years ago, could not be saved. The impasse, however, raises troubling questions about the 28-nation EU’s ability to negotiate major international agreements. 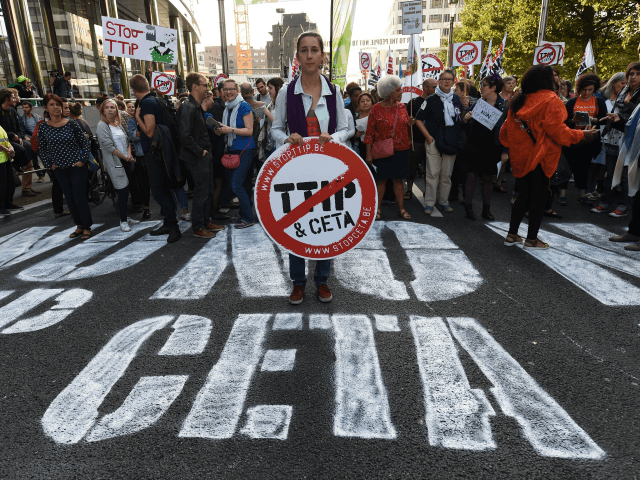 The pact known colloquially as CETA needs unanimous support within the EU, and Belgium in turn needs unanimity among its regions. “It seems that for me, and for Canada, that the EU is not capable now to have an international deal, even with a nation with such European values like Canada,” Freeland said. The deal was supposed to be signed next Thursday in Brussels by Prime Minister Justin Trudeau, and EU officials and Belgian Prime Minister Charles Michel worked around the clock to try to break the deadlock. The disagreement has pitted Wallonia, a region smaller than New Jersey, against the entire EU and Canada, with populations of over 500 million and 35 million. An official at the European Commission, which has been chaperoning the pact through negotiations, said it “doesn’t consider that this is the end of the process.” The official declined to be named because the talks are at an extremely delicate phase. But it was unclear how the EU would keep negotiating with Wallonia in coming days. Certainly the Canadian delegation’s departure has heaped great pressure on the region’s leader, Paul Magnette. Wallonia wants more guarantees to protect its farmers and Europe’s high labor, environmental and consumer standards. It also fears the agreement will allow huge multinationals – first from Canada, later from the United States, if a similar deal with Washington follows – to crush small Walloon enterprises and their way of life. Proponents say the deal would yield billions in added trade through tariff cuts and other measures to lower barriers to commerce. At the same time, the EU says it will keep in place the region’s strong safeguards on social, environmental and labor issues.